Walker Wood MRED ’18 serves as land acquisition associate at The Olson Company, focusing on infill development in L.A. and Orange County. Walker Wood landed a nice job in real estate finance after completing his bachelor’s degree, but always knew he wanted to be in development. The challenge he faced, however, was the difficulty in jumping from the finance side of real estate into development — he didn’t quite have all of the tools to make it. Despite working in the industry, Wood felt that he needed a stronger grasp of each key aspect involving development. With that in mind, he decided to enroll in the USC Price School of Public Policy’s Dollinger Master of Real Estate Development program to help him make the transition. A month after completing his degree, Wood started a job as land acquisition associate at The Olson Company, where his role will be to identify overlooked sites within Los Angeles and Orange County for infill development — the process of redeveloping land that is currently vacant or under-used. His focus is on finding potential opportunities in well-located, walkable areas. Wood got exposure to The Olson Company, and vice versa, through the MRED program. Wood was paired with Olson president and CEO Scott Laurie, a USC Price graduate, as a mentor. He later connected with 2013 MRED alumnus Aaron Hirschi, who helped bring him into the company for an internship and is now his direct supervisor. 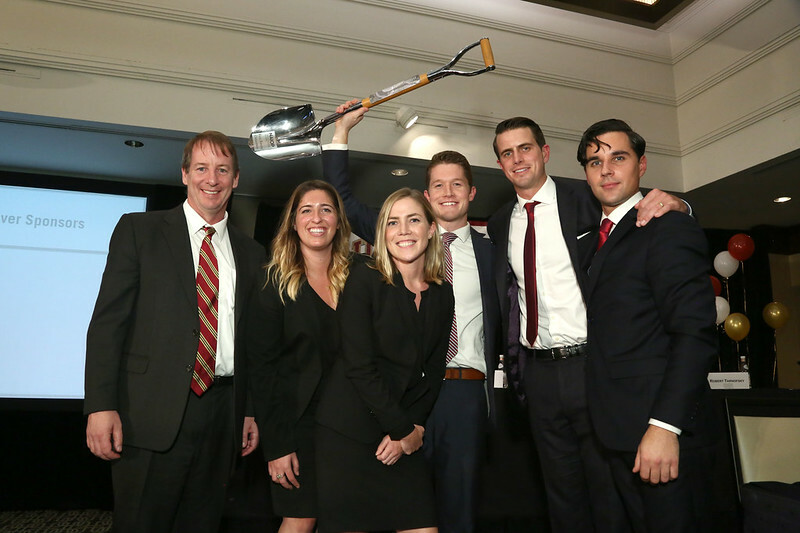 His favorite experience in the MRED program was helping USC top UCLA in the annual NAIOP Real Estate Challenge, a head-to-head case competition to determine the best use for a piece of land in El Segundo. Associate Professor Christian Redfearn, the Borstein Family Endowed Professor of Real Estate at USC Price, noted how Wood really opened up at the competition, talking confidently about his ideas in front of a large group of professionals judging the event. At commencement, Wood was given the D.J. Moore Award as the MRED graduate with the greatest professional potential. Redfearn taught Wood in two classes, including an early summer course that Wood felt set the tone for the program. To cap off his MRED experience, Wood had the opportunity to travel to Europe with 20 of his MRED colleagues in an elective course taught by Price Professor Richard Green, director of the USC Lusk Center for Real Estate. Wood spent a week in London followed by a few days in Berlin and Frankfurt, Germany, meeting with developers, investors and elected officials to understand the similarities and differences in international real estate.